To understand who we are today, you need to know about our past. Saint Peter’s began church life on June 22, 1913, in Ilisley Hall at the corner of Washington Avenue and Bates Street in Portland. This hall was later moved when Bates Street was widened to make a suitable entrance to Baxter Boulevard, and it became the core of the eight-family dwelling which is still located near the eastern end of Tukey’s Bridge. Closely allied to a new church in East Deering was the Grand Trunk Railway which had its principal roundhouse in East Deering and employed a large number of Church of England people who found themselves without the ministrations of the Church in the immediate neighborhood. 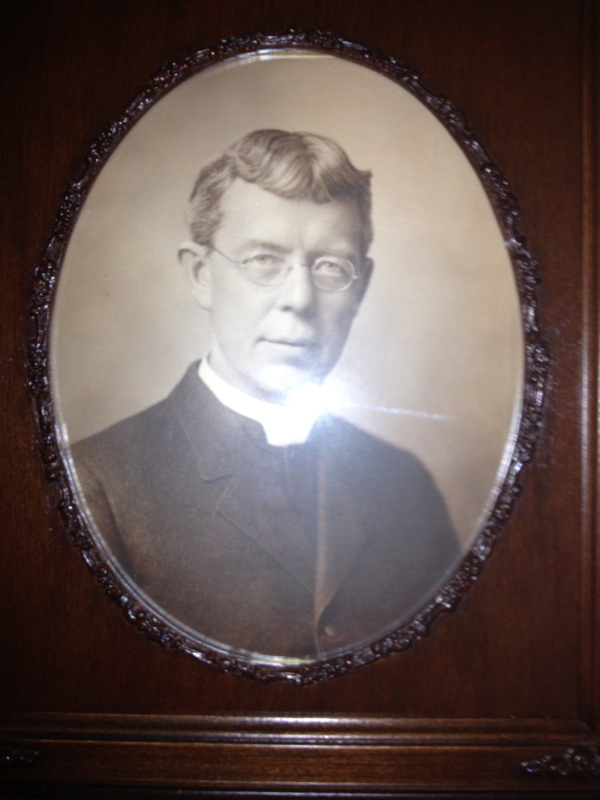 The Right Reverend Robert Codman, Bishop of Maine, recognized their need and in December, 1912, called the Reverend Phillip Schuyler from St. Peter’s church in Bennington, Vermont to extend the influence of the Episcopal Church in and around the City of Portland. Canon Schuyler established two missions in the area: St. Alban’s then in South Portland; and St. Peter’s in East Deering. Services of the Church were held regularly in Ilisley Hall. A good sized church school developed; a Women’s Guild was organized; Holy Baptism was administered for the first time in the mission on September 7, 1913; and on the following Whitsunday, May 31, 1914, Bishop Codman confirmed a class of seven candidates. Early in the next year, January 24, 1915, the formal organization of the mission was accomplished, and it was agreed that the mission would be named St. Peter’s. Officers elected at that meeting were: Warden John Gifford, Clerk Thomas Fowler, Treasurer Charles Wood-Leigh. Executive Committee: George Hogan, Thomas Bean, Frank Evans, Sydney St. Felix Thaxter, Edward Gail, Mrs. Lelend Philbrook, Miss Priscilla Wells, and Miss Dorothy Smith. The following three years witnessed enthusiastic growth. There were 100 communicants working determinedly to build on land already purchased at the corner of Washington Avenue and Alton Street. Bishop Codman died in October 1915, and because Saint Peter’s was the last mission founded under his direction, the Diocesan Convention of 1916 designated St. Peter’s the “Bishop Codman Memorial.” Gifts for the building fund from both the Codman family and friends of the late Bishop made the erection of a church a reality within a very short time. Ground was broken for the church building on July 10, 1918. At a special open air service, the cornerstone was laid September 21, 1918, by the Right Reverend Benjamin Brewster. The church was completed in the fall of 1919. The first service, a service of dedication, was held October 3, 1919, with Bishop Brewster delivering the dedicatory address. In 1925, two significant changes occurred at St. Peter’s. The first was the resignation of Canon Schyler, a very popular priest. The second was the removal of the Grand Trunk Railway shops from East Deering. Some parishioners, employees of the railroad, left the community at this time. In December 1976, The Reverend Gerald E. Burtt became our 13th priest and Rector. During his leadership, the church witnessed moderate but steady growth in our parish membership and a deeper understanding of the stewardship of our time, talent and treasure. The Rev. Maurice J. Allaire was ordained a vocational deacon in 1977, and assisted the rector in public worship as well as serving several nursing homes in Greater Portland and as Chaplain to the Osteopathic Hospital of Maine. In 1979, an energy conservation program was begun that included new insulation, vinyl siding and a new furnace at Bethany House; a new furnace, storm windows and repointing of the Church building; and additional insulation and storm windows at the Rectory. A completely modernized kitchen with the finest equipment was completed in the Church Undercroft. 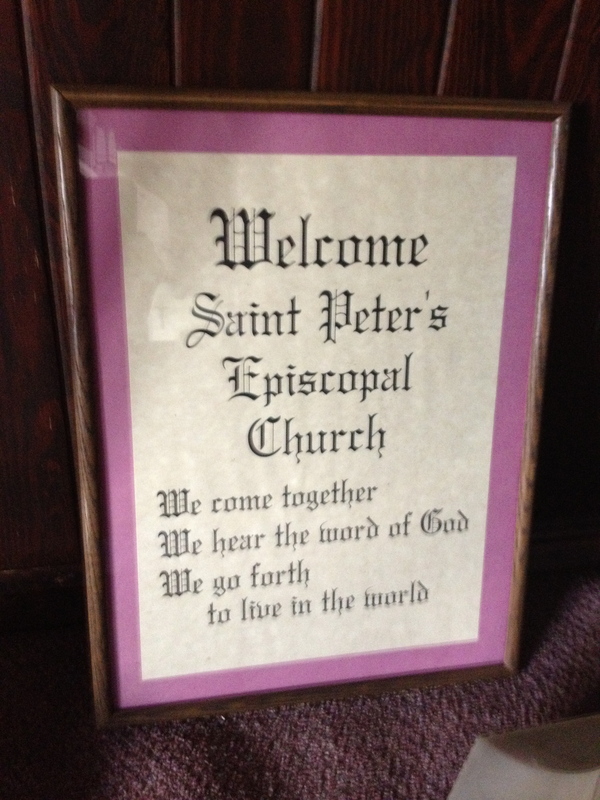 In June 1984, the 30th anniversary of the building of the Rectory, an anonymous gift enabled the parish to replace many clapboards, some window sills, and re-stain the entire Rectory. 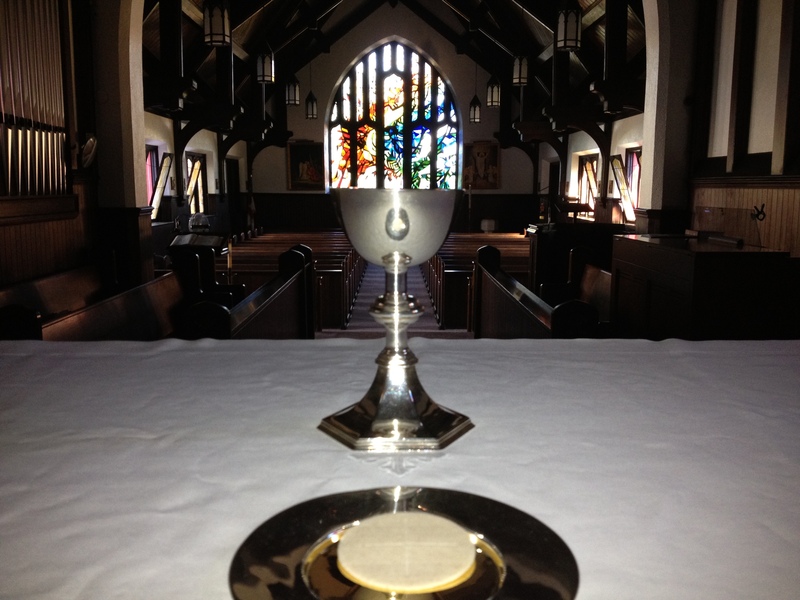 From its inception, St. Peter’s has been a workingman’s parish, meaning that most of the church’s acquisitions have been funded by people of limited means.